Bomb Damage on Ashburner Street Market and Air Raid Shelter 9 January 1941. One man was killed. 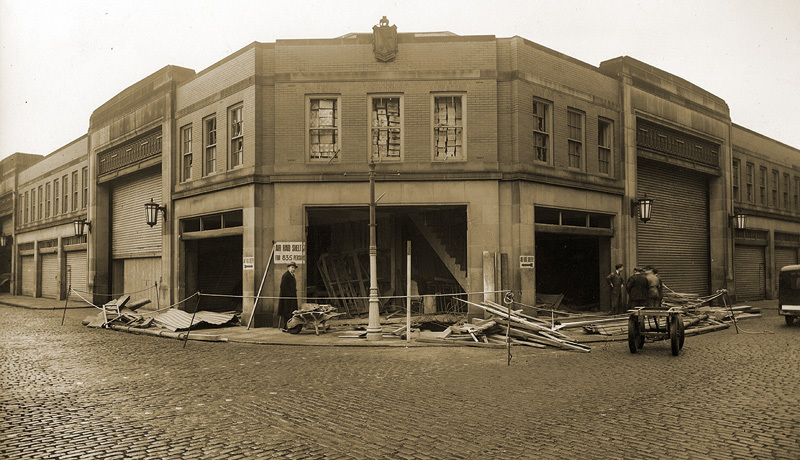 The bombs fell either side of the Odeon Cinema which had a full house at the time.